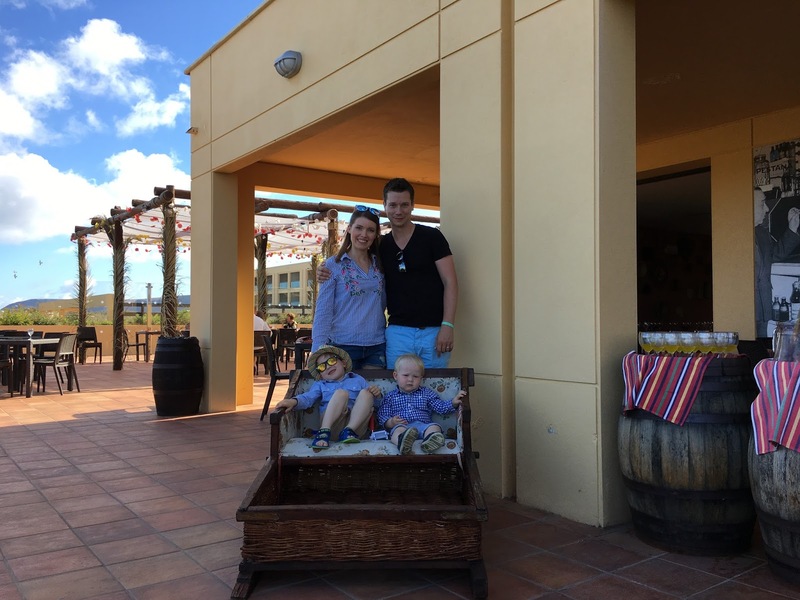 As a family, we have always loved to travel. 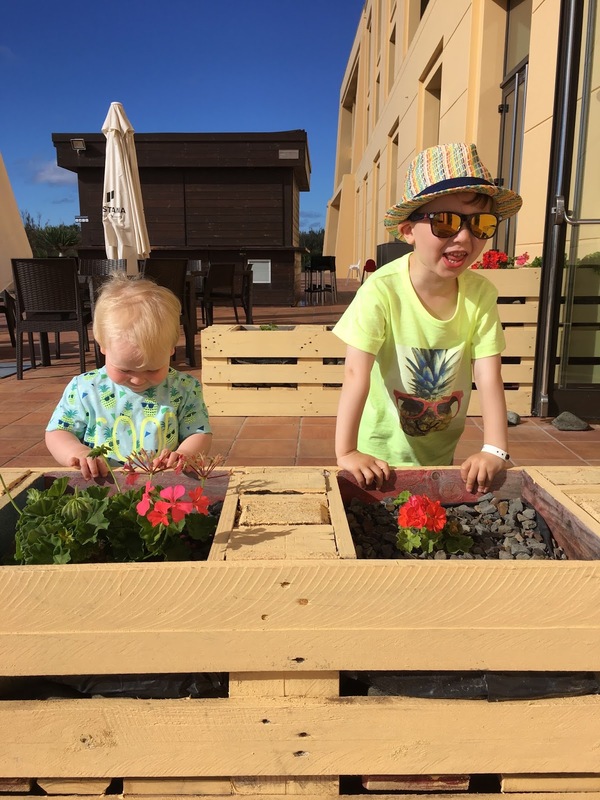 In LO's four years, he's already travelled to so many places around Europe and Little L is now following in his big brother's travelling footsteps. 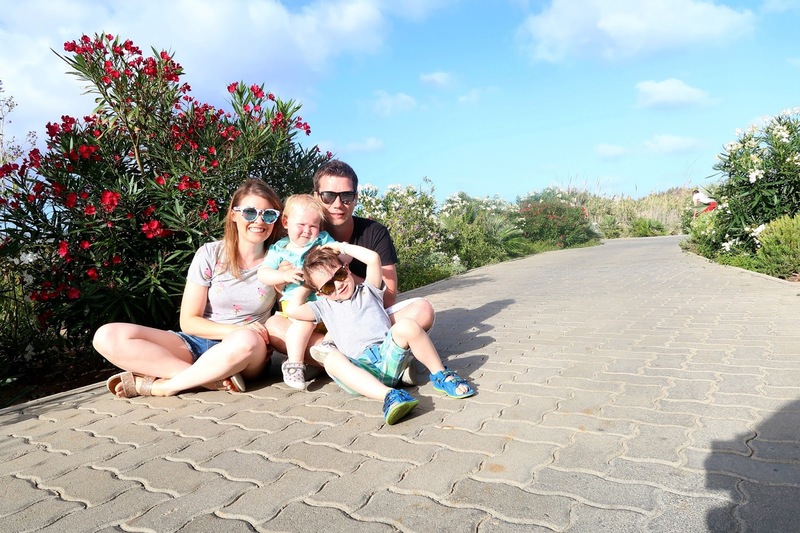 When we were planning this year's travels, we knew that with a 3 year old and an 18 month old, doing anything too adventurous or far away would make a holiday hard work. 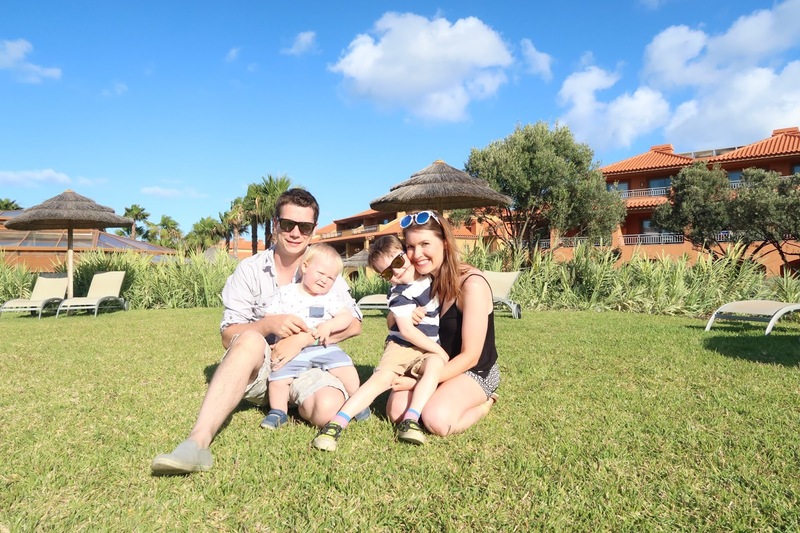 We wanted to go somewhere where we could relax with the boys and come back from a week away feeling refreshed, not more exhausted than when we set off. After quite a lot of research and browsing different places, we finally settled on somewhere we had actually been before. 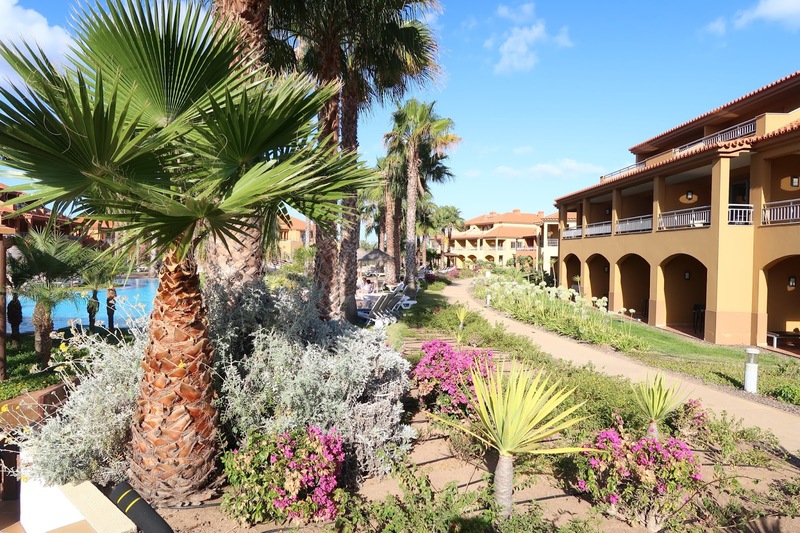 The Hotel Pestana Porto Santo is a 5 star all inclusive resort located on the tiny island of Porto Santo, which is just north of Madeira. Most people I have spoken to about it have said they've never heard of it, and I think it's still a remarkably undiscovered place, enjoyed mostly by Portuguese families who come over from mainland Portugal in the summer. We visited two years ago when I was about 25 weeks pregnant with Little L.
We had such a wonderful week there 2 years ago and so decided to go back there again, this time with two toddlers in tow. 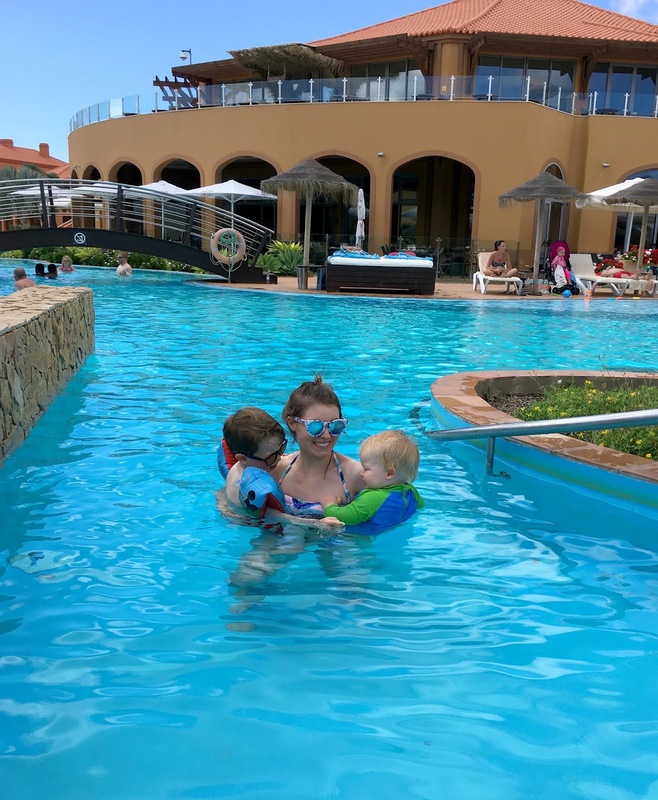 It may seem a little unadventurous to return to the same resort we went to only 2 years ago, but from what I've learnt from this holiday, there really is a lot to be said for known territory, especially when travelling with a 3 year old and a newly walking 1 year old. 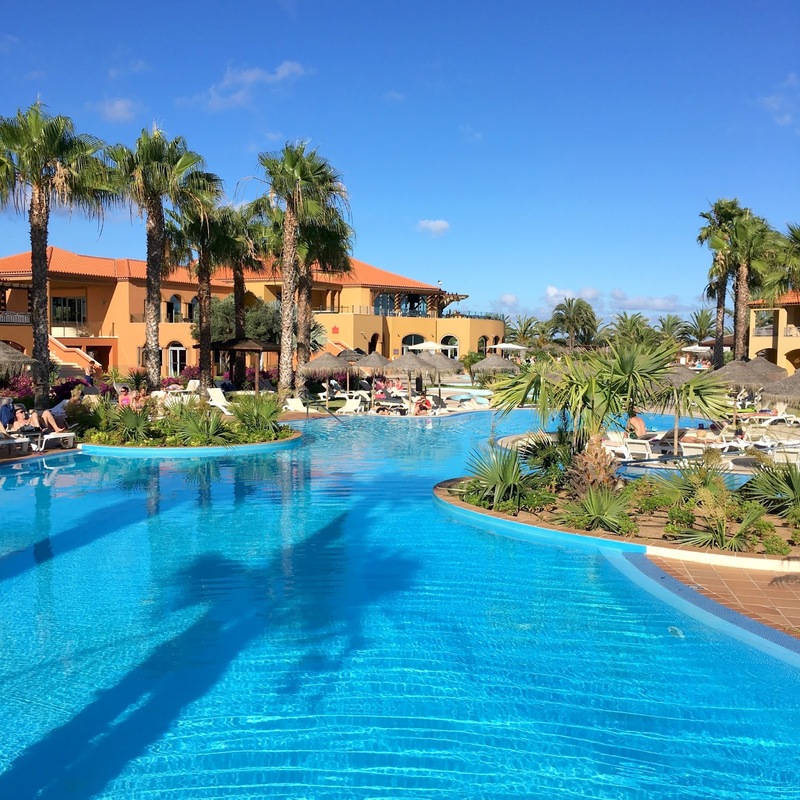 We knew the 3.5 hour hour flight was bearable, the resort and pool was not only stunning but also really child friendly, the staff were incredible, the all inclusive service made meals times easier with children and the temperatures, although not overly hot, are perfect for young children. 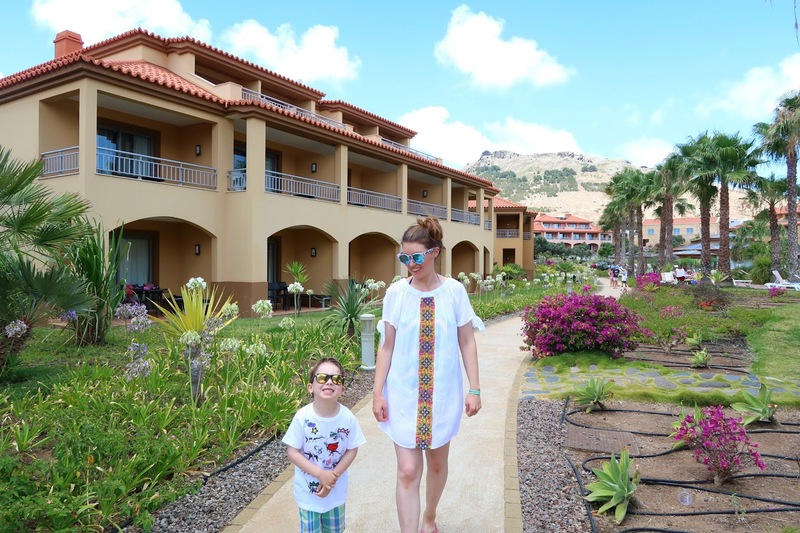 And with that, we decided that Porto Santo was the perfect location for our summer travels. 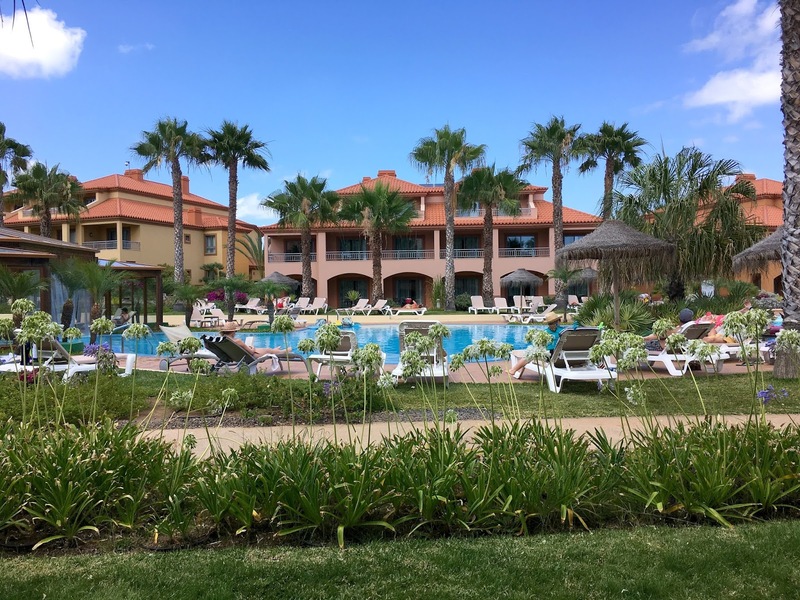 We flew out to Porto Santo on June 26th from Birmingham airport, with Thomson Holidays. The flight was 4pm, and with a flight time of roughly 3.5 hours, we landed around 8pm. Luckily, the coach transfer is only about 10 minutes as the island really is that small. It felt really strange being back as I've never been to the same holiday destination twice. It felt so familiar and reassuring in a way, but bizarre to be back again, this time with two little boys. It was getting dark by the time we arrived so we had a quick dinner at the restaurant while our cases were taken to our room, and then we settled down for a good night's sleep. Bizarrely we were in the same villa complex as last time, and also in the adjacent room. The resort is really beautiful. It is really lush and green and the gardens are so well maintained. The villas and restaurants are built around a lagoon style pool which snakes down through the resort and there are palm trees everywhere. It really is stunning. Our villa complex was this yellow building on the right. We were on the ground floor and the pool was right outside our terrace. It was a beautiful view to wake up to every morning. 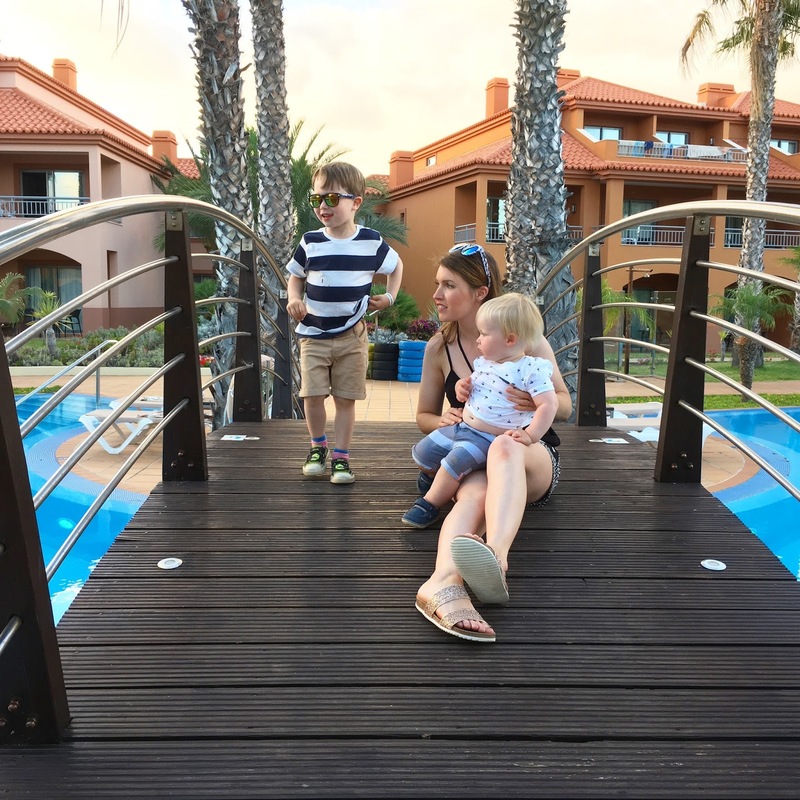 As the lagoon pool goes down the middle of the entire resort, you cross over at various points on these little wooden bridges which the boys absolutely loved. I think they would quite happily have spent all week just going back and forth across each one. I love this photo of me with my two boys. We were playing on the bridge after dinner (I can tell as LO has chocolate ice cream split down his top!) and we were just watching the sunset behind the mountain behind the resort. Walking to breakfast with my biggest boy. I remember posing for photos in the exact same place two years ago. 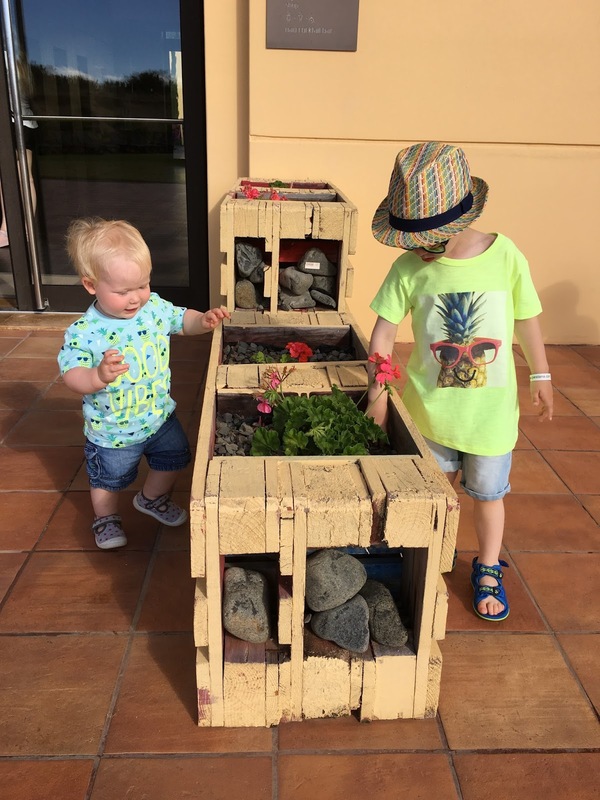 A lot of people have asked me how we kept two toddler entertained on an all inclusive resort for a week. We really found the day time flew by and our days really centred around enjoyable meal times as a family and also lots of time in the pool. I would say make sure you take some inflatables and some other pool toys such as buckets and a toy watering can. LO was still resistant to wear arm bands so he was still using his trusty spiderman ring which we never travel without now! My little matching boys in their pineapple outfits. I absolutely love these t-shirts, so of course we had to have a little photo after breakfast one morning. 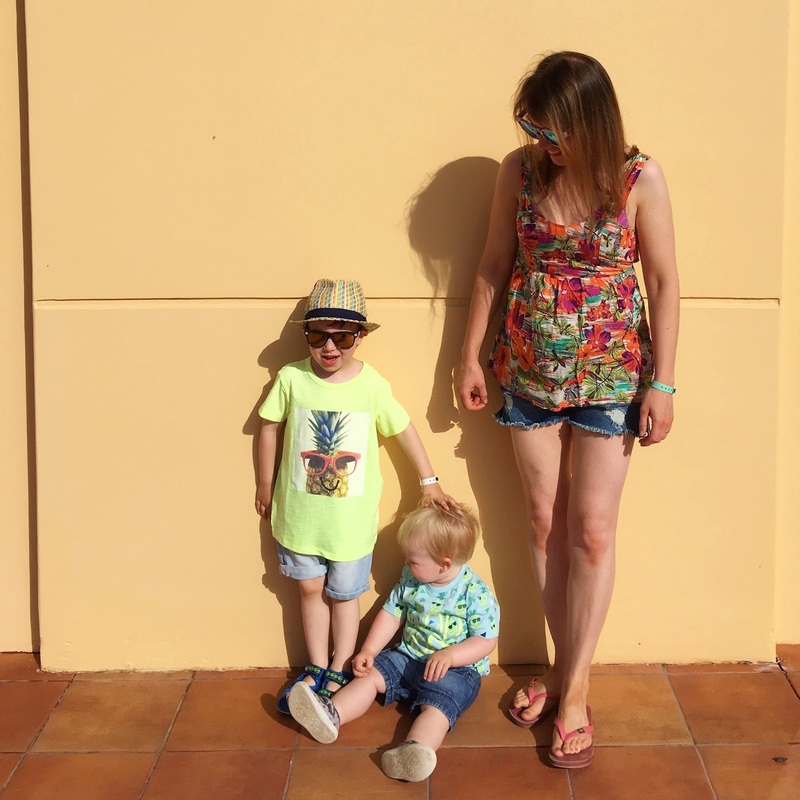 They got on so well this holiday- it's made a huge difference now that Little L can walk. And his talking suddenly exploded too- he went from saying virtually nothing to having a vocabulary of around 20 words by the end of the week. 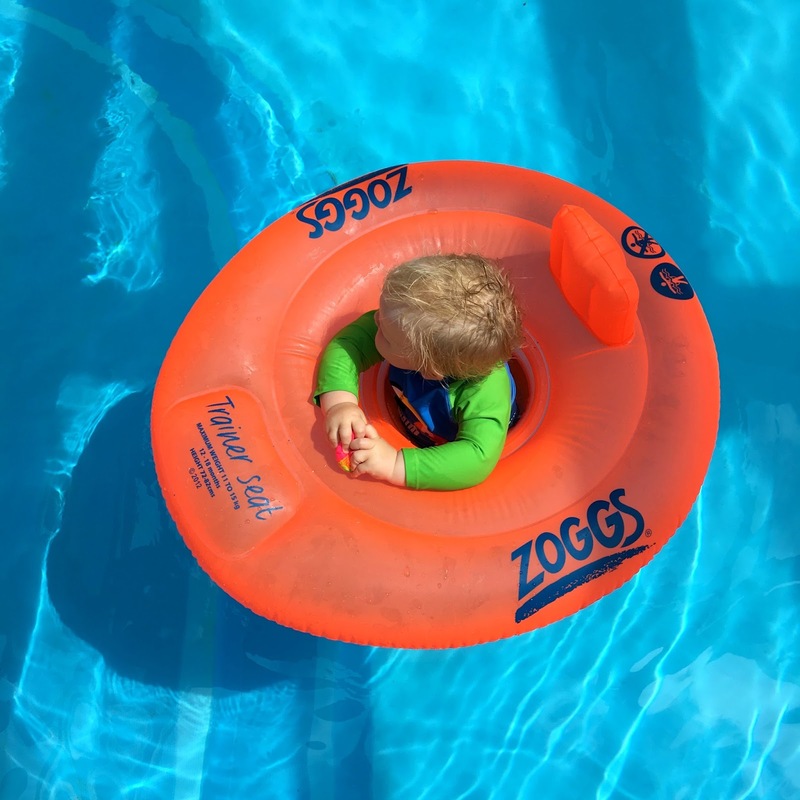 Our littlest wasn't so sure about the water as it was a little cool, but he enjoyed floating about in his Zoggs ring and of course his favourite thing was to be carried about in the water. 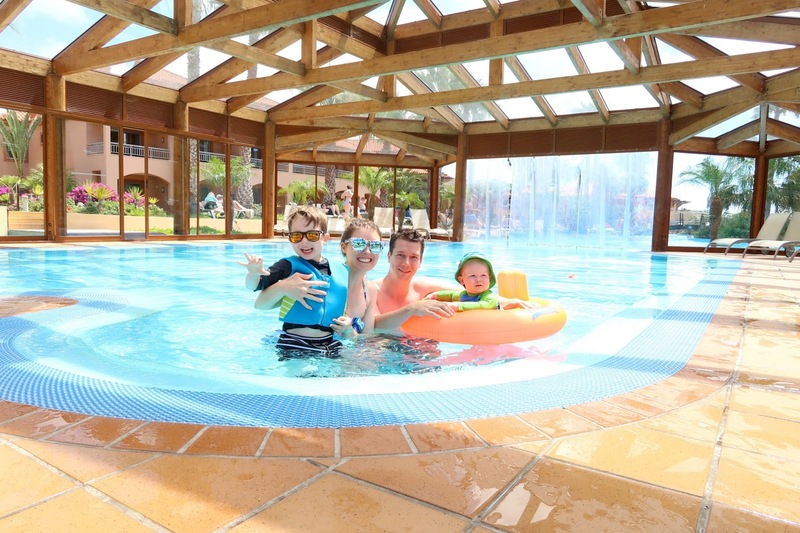 It's definitely inspired us to investigate family swim sessions in our own area though as we had so much fun together in the pool. One of the best things about the Pestana is the pools. They weren't crowded and because there are so many different sections, it's easy to find a part of the pool which is quiet, although we did find this time that it was hard to find a sun lounger unless you were up before 8am to put a towel out, which is a little irritating. The weather was fairly temperate the week we were there, and it was a little windy so the glass house was ideal for the boys to swim and splash about in, plus it was right outside our room. There is also an adults only indoor pool which is part of the spa, and also an indoor family pool at the Colombos. 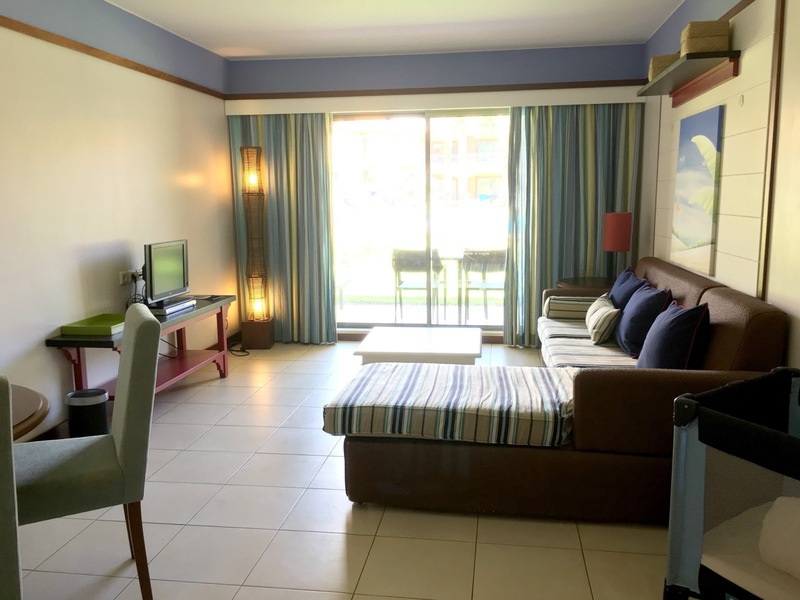 When we go abroad and stay in hotels, we find it's vital to have a suite which has two rooms so the boys can have a separate space to sleep in. We were in room 1106, which is a junior suite. It was a really big space with a small kitchenette, a living area, dining area, outdoor terrace, bathroom and master bedroom, though unfortunately the bedroom was enclosed with no windows, which made it a little dark (and very difficult to photograph!). 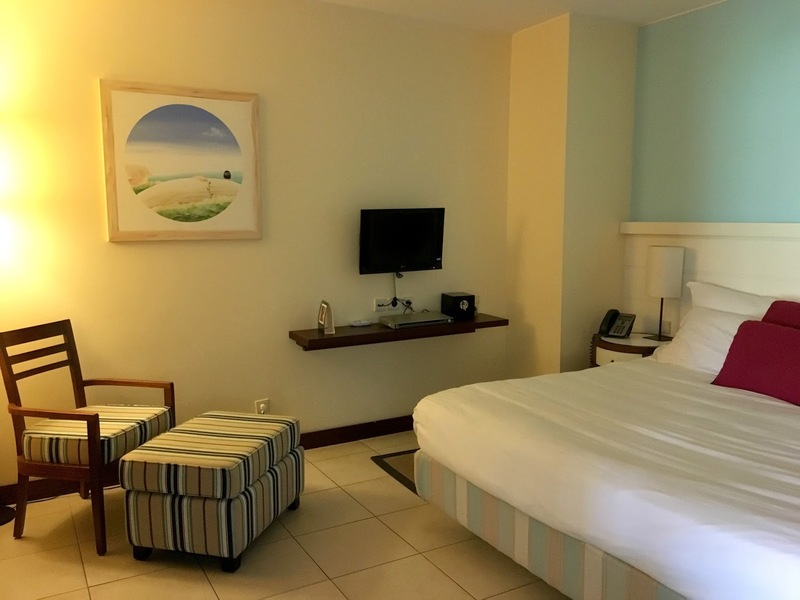 Normally when we travel, we do prefer to stay on a half board basis or even self catering as we enjoy the excitement of going out to explore in the evenings and trying out different restaurants. 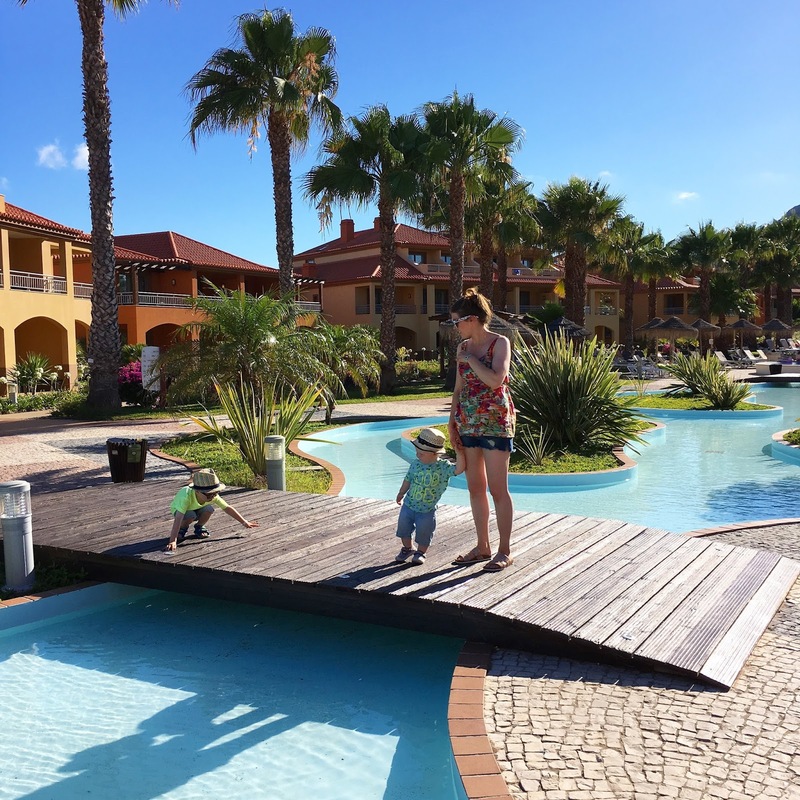 However, with two young children who can be quite fussy, going all inclusive can really take the stress out of meal times, and actually, our meal times were so enjoyable and a real highlight of the holiday for us. 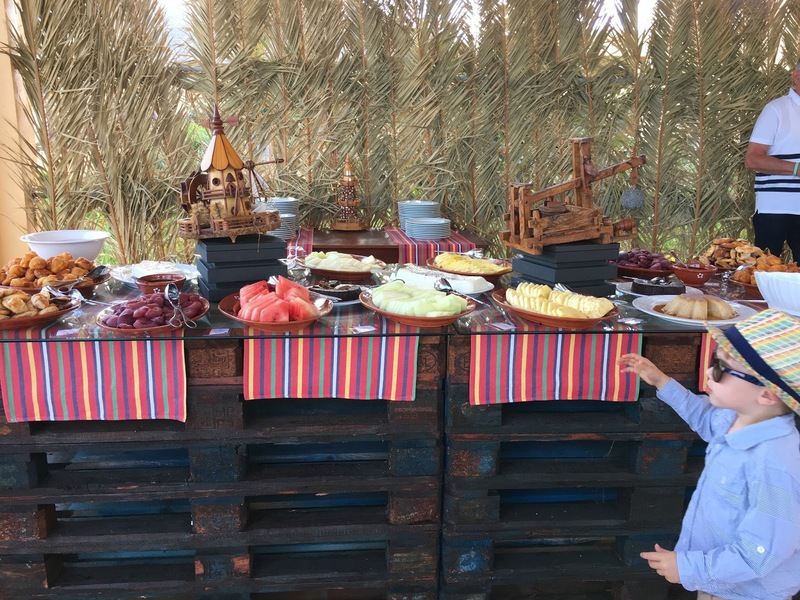 Over the week's holiday, you're also entitled to two evenings out (both included in the cost) at the themed restaurants- there's a poolside Italian, a Mediterranean restaurant, a Japanese restaurant and a traditional Madeiran one too. 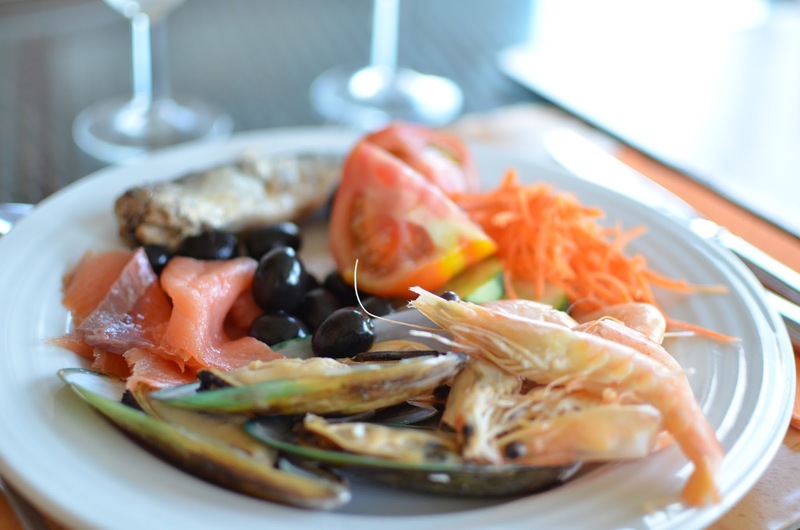 We tried one meal at the Madeiran and another at the Italian. 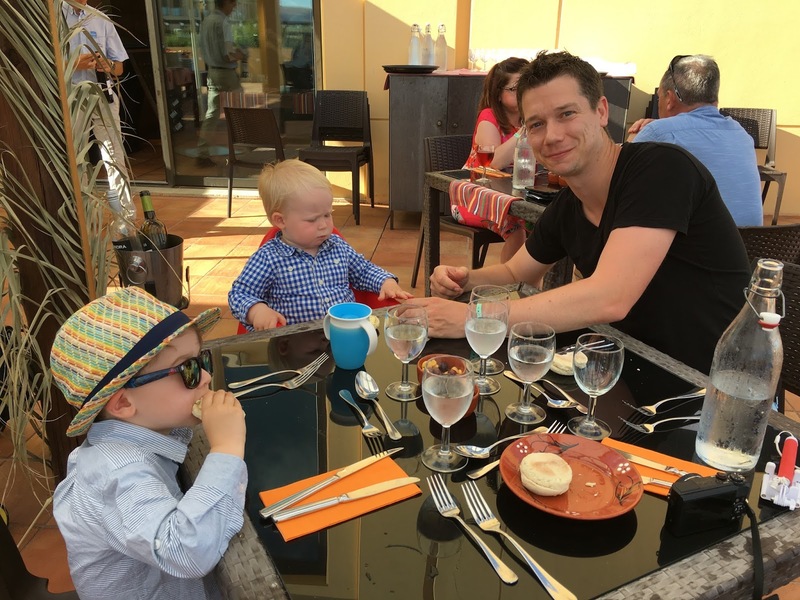 Mr F loved the Madeiran food as it was quite meat heavy- lots of grilled chicken and pork, while I preferred the Italian, which we went to on our final evening and the boys absolutely loved. There are so many beautiful spots to explore and to take photos in around the resort. The photos I took of the four of us together make me smile as it makes me realise I am totally outnumbered by my boys. 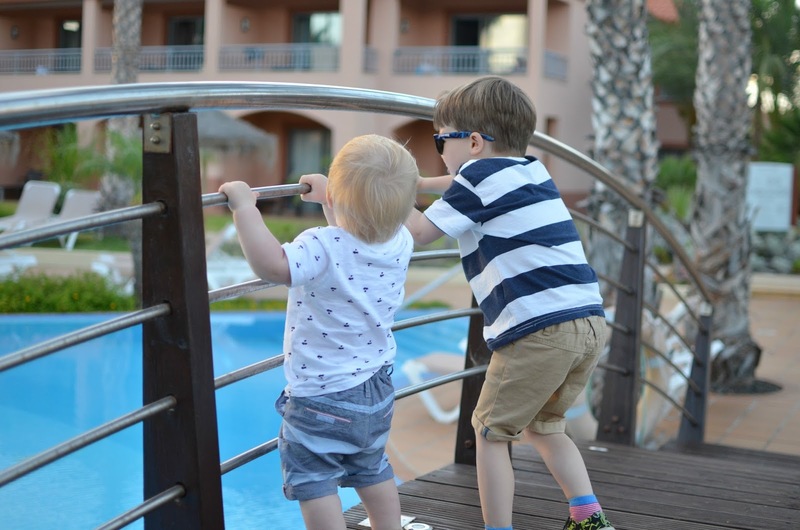 Going on holiday with two little boys can feel a little like being in a hurricane but being here certainly made the week a little easier and I loved the quality time we got to spend together. I love Little L's sunglasses in this photo. I think it's the only time we got him to wear them, and even then he kept them on far all of 3 seconds, but they're still so cute! Dressed up in our shirts for dinner out at the Madeiran restaurant. 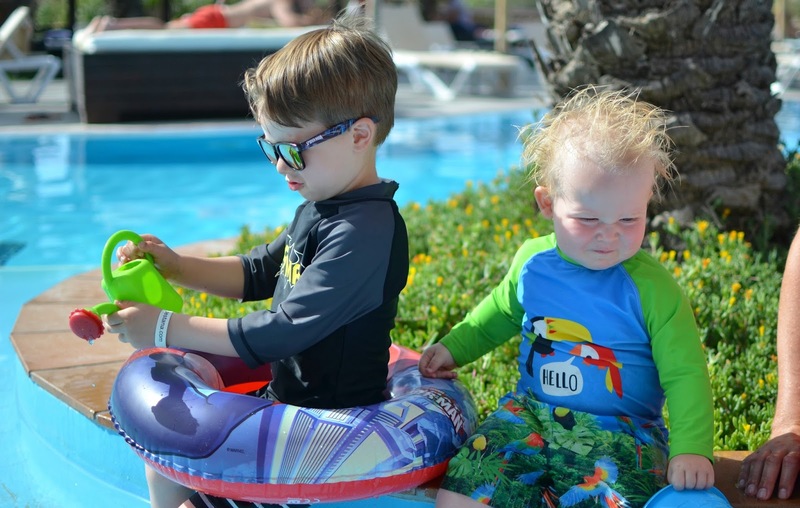 Getting ready for anything on a sunny holiday just seems to take forever with two little children- be it getting into UV suits, slathering on sunscreen, or the dreaded post swimming pool or beach hair wash. It always took us an age to get the boys ready and out of the door! 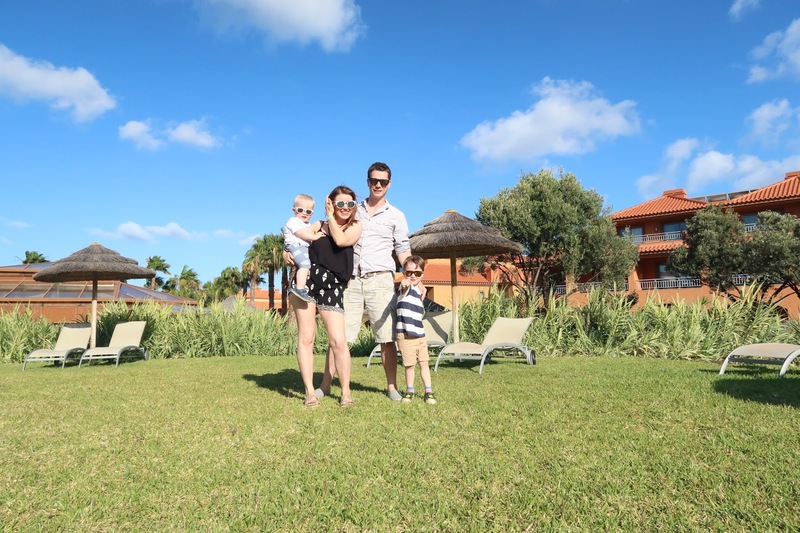 We did love our early evening strolls around the resort though, and some evenings we also had a wander down to the amazing private beach. I wanted to actually do a separate post all about our evenings on the beach as it really is so beautiful and I actually managed to get a couple of photos on my big camera, so I'll share those in a separate post. I'll also be doing a separate post all about our little day trip to the local town of Vila Baleira too, so keep an eye out for those. We absolutely loved our week to this beautiful little island and it was so nice to be back there as a family of four. I really feel so incredibly grateful that I get to go on adventures and make so many lovely memories with this crazy bunch of boys I get to call mine. 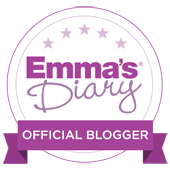 I will also be posting a video all about our travels, which I hope to link in the next blog post.